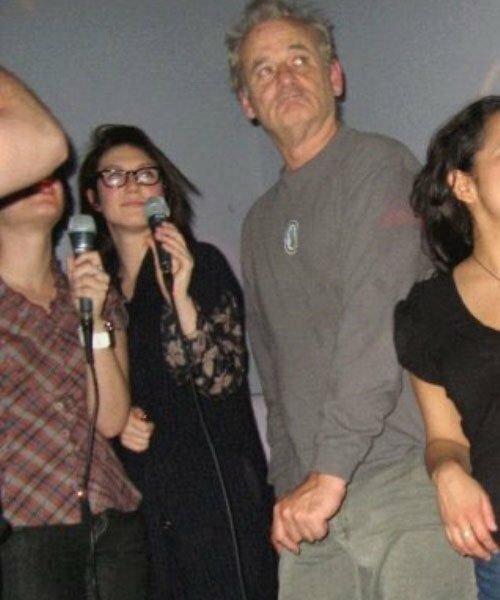 The Bill Murray you’ve seen on screen in his movies is pretty awesome. Everyone knows that. Less well known, however, is that his real life is just as awesome. Lately in fact, he seems to be living it as if he’s actually in a Bill Murray movie. One of the good ones. Not Garfield. For instance there was that time last year when he randomly wandered into an Austin establishment, jumped behind the bar without asking, and started serving the customers shots of tequila, no matter what they ask for. Or there was that awesome video leaked from the set of Get Low, in which Murray randomly started re-enacting his Stars Wars lounge-singer bit from SNL for the crew between takes. Even his opinions on his own work are distinctly Bill Murray. Remember when he confessed that he only did Garfield because he thought it was a Coen Brothers movie? So here’s the latest in the ongoing, Bill Murray living out loud as only Bill Murray can, adventure. Now he’s singing karaoke. 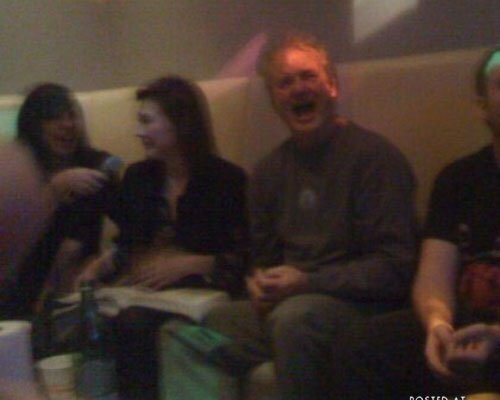 The Chive says a bunch of random dudes encountered Bill at a New York karaoke bar and invited him to hang out in their room. They didn’t think it’d ever happen, laughed about it, and went back to doing their thing. 15 minutes later… Bill Murray knocked on their door. They partied with him for hours, singing karaoke and getting pretty much trashed with Bill and his girlfriend from Amsterdam. Bill even sang duets with them, in particular to Elvis songs. 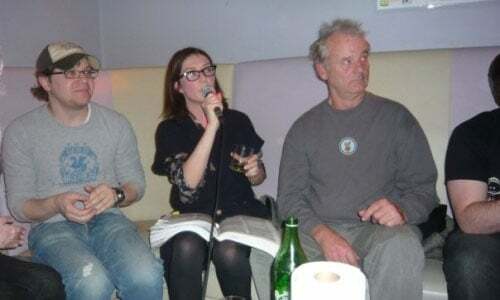 Here’s the photographic evidence of Bill Murray’s random karaoke party with fans. See more photos from the surreally cool experience over at The Chive.